Home / Column / Give T.T Lewis his just due! Give T.T Lewis his just due! Errol Barrow, who was never known for being a hypocrite in the politics of Barbados, obviously had tremendous respect for the quiet but outstanding contribution of this genuine hero of 20th century Barbadian working-class struggle. With his trademark frankness, Barrow spoke on June 19, 1962, in a highly complimentary fashion about Edwin Atholl Seymour T.T. Lewis, a white Barbadian lawmaker who, except for the seafront boardwalk in The City that bears his name, is today a largely forgotten man. “Perhaps the only Barbadian politician who in the last 60 years can claim that he has done something for the constitutional advancement of this colony is the late Deputy Speaker Mr A.E.S Lewis, a former Junior Member for Bridgetown,” remarked Barrow as he introduced a resolution in the House of Assembly condemning Britain’s 1962 suspension of the constitution of colonial Grenada. Lewis was also highly thought of by Sir James Tudor, Barrow’s legendary political lieutenant and confidant. In one of our many conversations about Barbadian politics, he referred to Lewis as “a white man with a black man’s heart”. More than anything else, this characterization stimulated my interest in T.T. as it clearly defined for me, as a black Barbadian, the essence of Lewis, the visionary colonial era politician. In fact, Sir James, whom it seems the present crop of Democratic Labour Party (DLP) politicians are determined he too, ironically, should become a forgotten man like Lewis, acknowledged that universal free secondary education, which he introduced in 1962 as the DLP’s first Minister of Education and with which the DLP subsequently became synonymous, was actually Lewis’ idea, which he fervently championed over the years. Speaking on the subject in the House of Assembly in 1943, Lewis said: “I think that we should say that we must have compulsory education and not say that we cannot afford it. We ought not to have people growing up in this community without a modicum of education . . . .
Unmistakably socialist in his political orientation, Lewis was so revolutionary in his thinking about working-class empowerment that he was a man clearly ahead of his time. Such persons, sad to say, in this fair land of Barbados, are often misunderstood and ostracized though they mean well. Like Professor Sir Hilary Beckles, whose 2014 play No Country For A White Hero served to reignite public interest in Lewis’ contribution, I too believe a strong case exists for T.T. to be recognized as a National Hero of Barbados. What qualifies him? The answer is simple. If, as a society, we are in general agreement that the policy of free or, rather, publicly funded education has been the central building block in the modernization of Barbados and the upliftment of the sons and daughters of the working class, then, from what Sir James Tudor has acknowledged, we have Lewis to thank. He is the true Father Of Free Education. It was the germination of his idea which was brought into full effect by the DLP in 1962. Throughout history, great leaps in human progress have always flowed from great ideas. Lewis was already dead six months when I was born. I therefore never got the opportunity to meet this fascinating personality in the flesh though, in a somewhat ironic way, I have felt a connection in spirit. Those who have reached a certain level of consciousness would understand what I mean. Lewis died, not here in Barbados, but in neighbouring St Lucia, the beautiful Helen Of The West Indies. His remains are interred at the northern end of the Choc Cemetery bordering the George F.L. Charles Airport at Vigie, outside the capital Castries. A simple headstone marks the site. Lewis reportedly died a poor and broken man. He had to be buried in St Lucia, where he had gone to attend the wedding of a daughter, because repatriating his body to Barbados was beyond the financial means of his family. In his lifetime, T.T., who was working class, though born white, and was largely self-taught, paid a dear price for standing up to the white oligarchy which controlled colonial Barbados. In death, away from his native home, he continues to pay a price because it is impossible for him –– to quote the words of the Psalm –– to sing the Lord’s song in a strange land. Because of the nastiness of Barbadian politics, St Lucia was my home from late 2000 to 2003. Reflecting from this distance, I learnt so much about Barbados during this period. It was also during this time that I came into Lewis’ presence. I sat on his tomb cooling down many a morning following my daily sunrise workout on Vigie Beach. It was there that I came to an uncanny realization that, in different ways, we were both exiles of sorts. The only difference was that I still could physically return to Barbados someday, but he could not. It was also during this time in St Lucia that I read Lewis’ biography White Rebel, written by his great-nephew Gary Lewis and published in 1999 by the UWI Press. I vowed that if I ever have the power, and his family agrees, to press for the repatriation of Lewis’ remains to Barbados so they can finally be where they rightly belong. Wouldn’t that be a deserving tribute as part of the celebration of Barbados’ 50th Anniversary Of Independence? Other countries have done so for their heroes. Why can’t we? Besides the recognition of Lewis as a National Hero, the time has come for his possible repatriation to be placed on the public agenda. If Barbadians feel as strongly about the need for Lewis to be given his just due because of the immense personal sacrifice he made for the cause of the working class and also because of the transformative power of his ideas, especially free education, we must realize that it is within our collective power to make it happen. We can start the process by lobbying the powers that be through a petition or sustained letter writing campaign. Justice for T.T., by having him declared a National Hero later this year, would be a fitting 50th Anniversary Of Independence tribute, and a gesture of gratitude and appreciation from the sons and daughters of the Barbadian working class to whose cause Lewis gave so freely and selflessly. 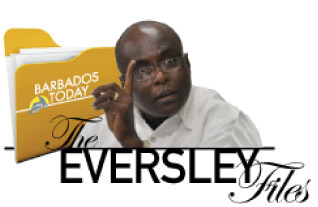 (Reudon Eversley is a political strategist, strategic communication specialist and long-standing journalist.